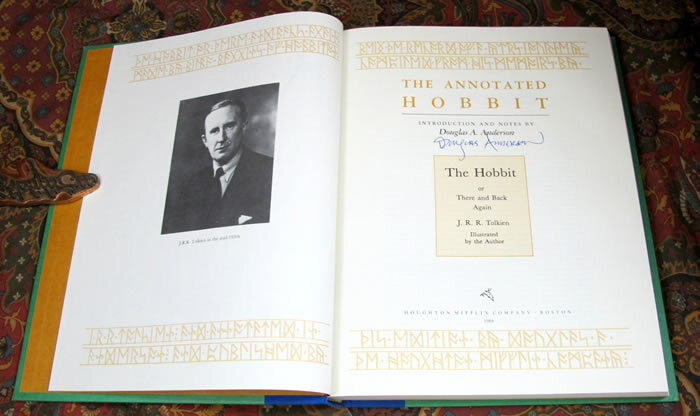 Published in 1988 by Houghton Mifflin, this copy is signed to the title page by Douglas Anderson. 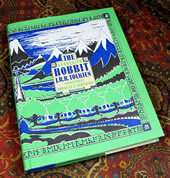 A First Edition, 1st printing of this wonderful book. 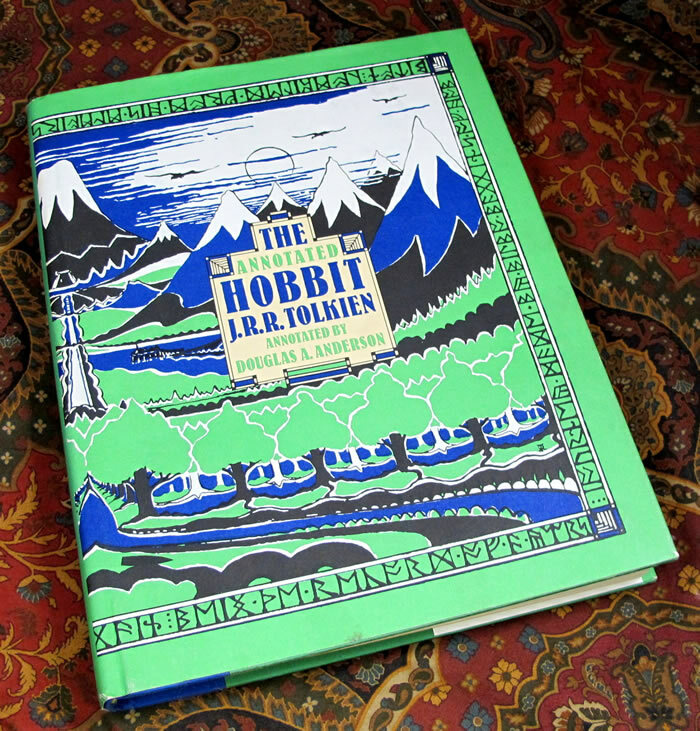 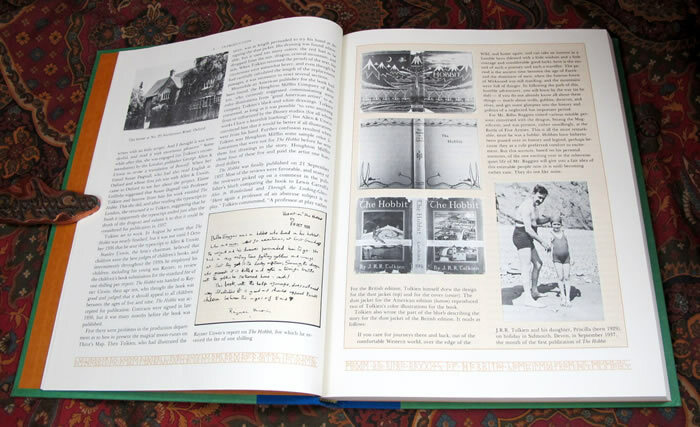 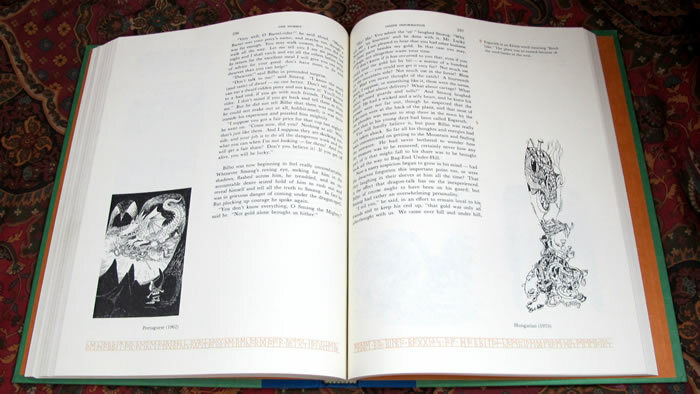 From the Preface, "In compiling this annotated edition of The Hobbit, I have relied heavily on Tolkien's own writings, particularly his letters but also anything dating from before or around the time when The Hobbit was produced." 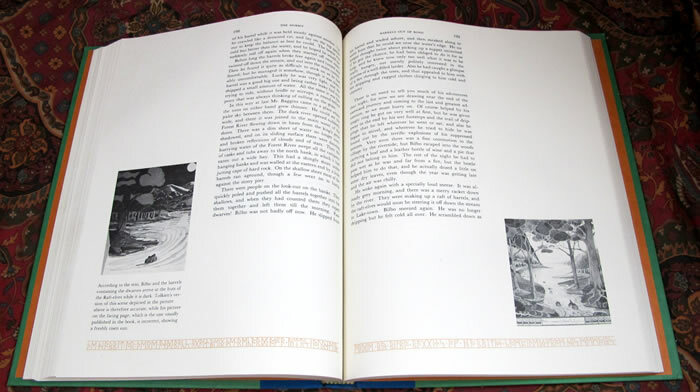 history along with the further corrected text of the 3rd Edition of 1966, the last edition that contained corrections by the author. 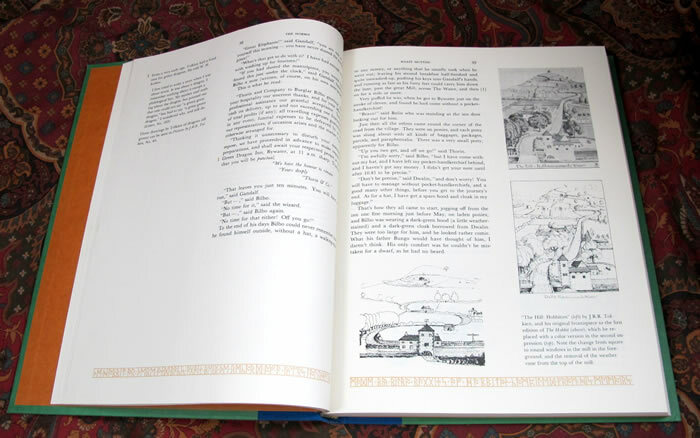 The book is in Near Fine condition with no marks or writing, no foxing, a small stain to the bottom front of the dustjacket the only fault. 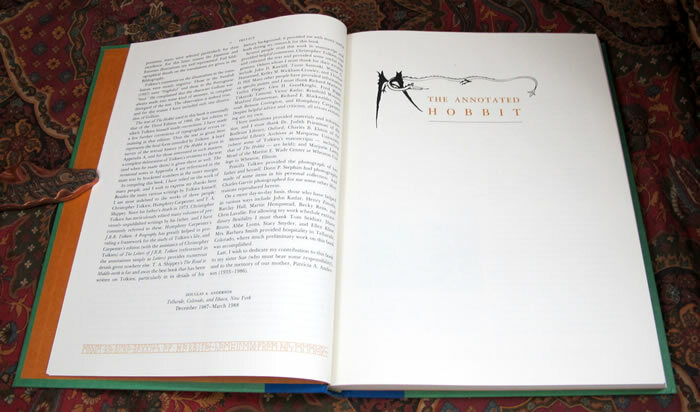 Otherwise, the unpriced clipped dustjacket is in Near Fine condition, without any rubbing or loss to the edges, tiny bit of color loss to the tips of the flap folds. 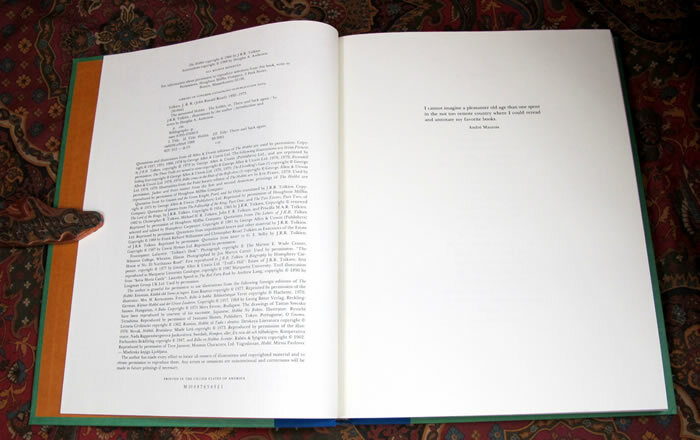 Might be the lightest bit of fading to the spine. 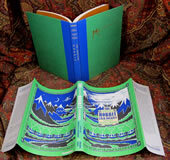 Dustjacket now housed in archival protector. 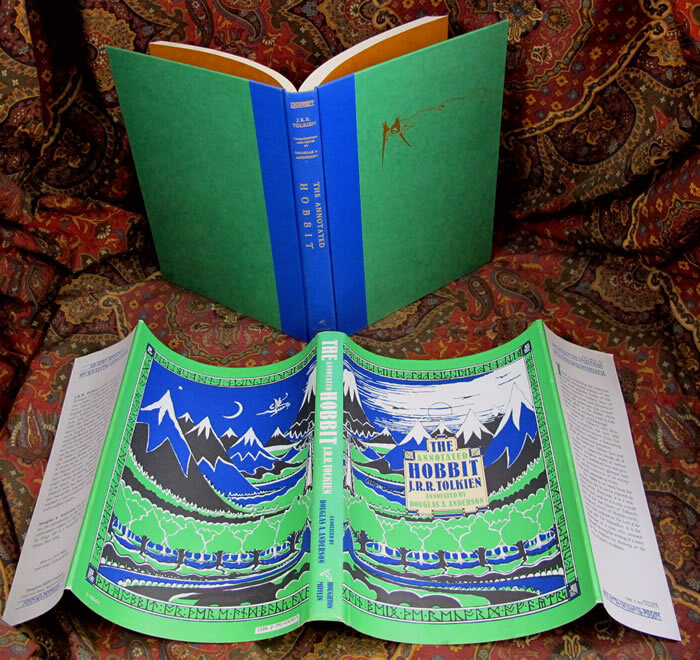 A beautiful copy for the collector.